Which is what I did in Annecy this past summer. Upside to dreary days: better lighting for photoshoots! Downside to dreary days: gray skies, lakes, everything. 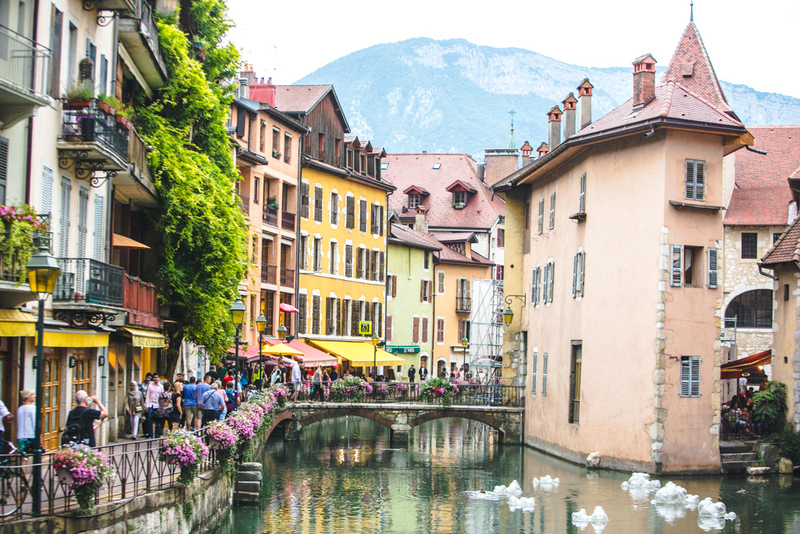 I scheduled 4 nights and 3 full days of my 2017 Euro Trip in Annecy, France because I wanted to have enough time to explore the Old Town, cycle all around the lake, and complete at least one of the many hikes in the area. 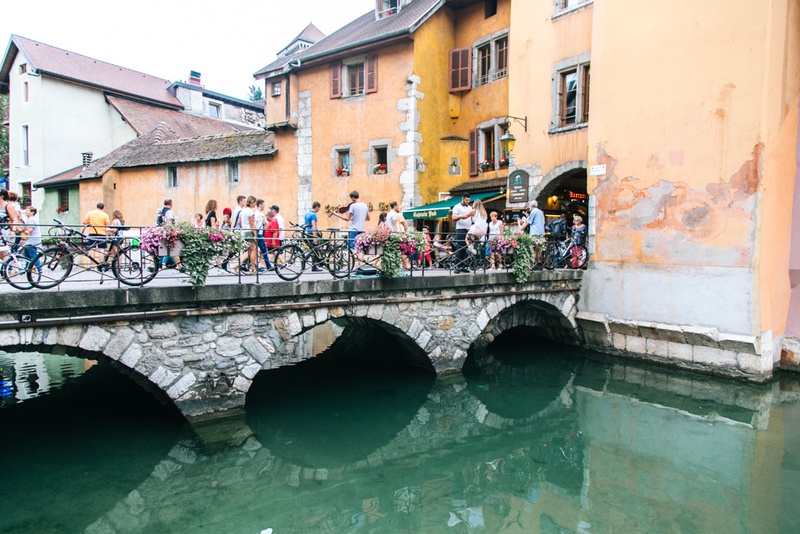 Unfortunately I was dealt only about a half a day’s worth of sunshine, with the remainder of the time being either overcast or rainy – definitely not ideal for outdoor adventures in Annecy. I was totally bummed to be missing out on the hikes and to be coming home empty-handed in terms of blue sky lakefront landscape photography – but I’ll tell you what, that half day of glory was one of the highlights of my entire 3.5 weeks in Europe. 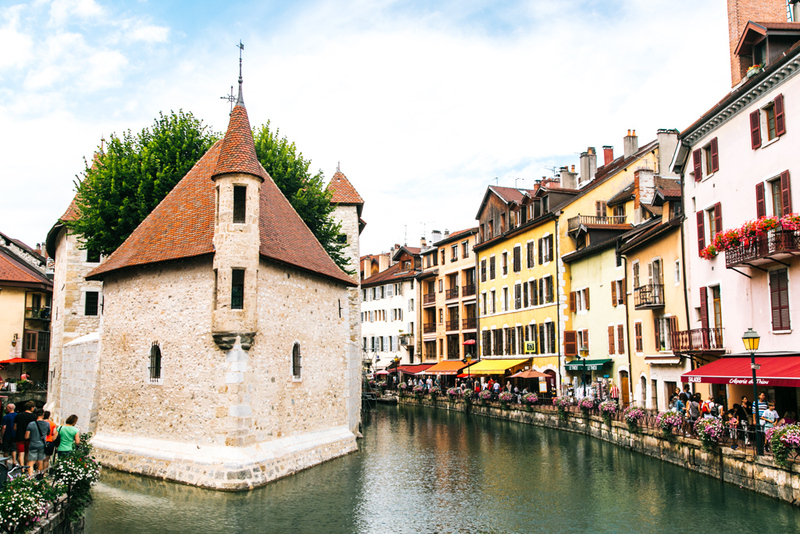 Annecy is a beautiful French city blessed with both a medieval Old Town and a picturesque lake, and it’s well worth the effort of getting to. It took me about 8 hours to get there by bus from Paris (would have been about 5 hours by train, and also more expensive). 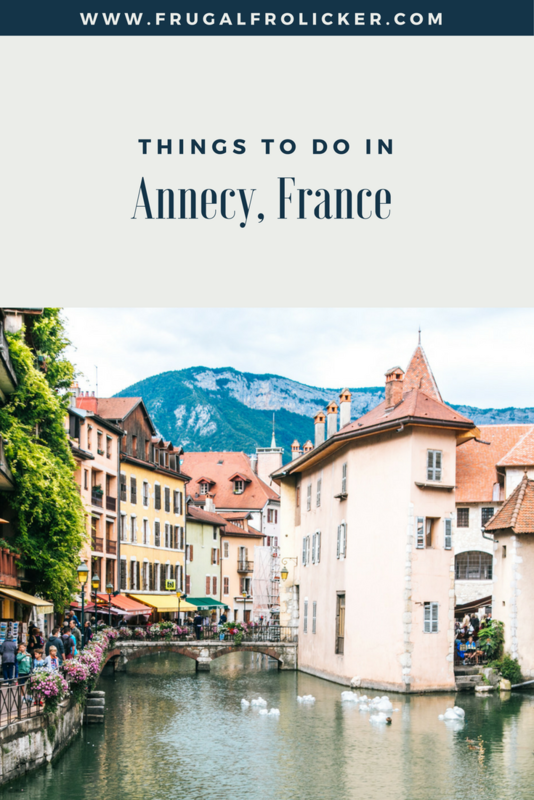 I actually think it would make more sense to include Annecy as a stop on a Switzerland trip, since it’s right by the Swiss border and only about a 40 minute drive from Geneva. 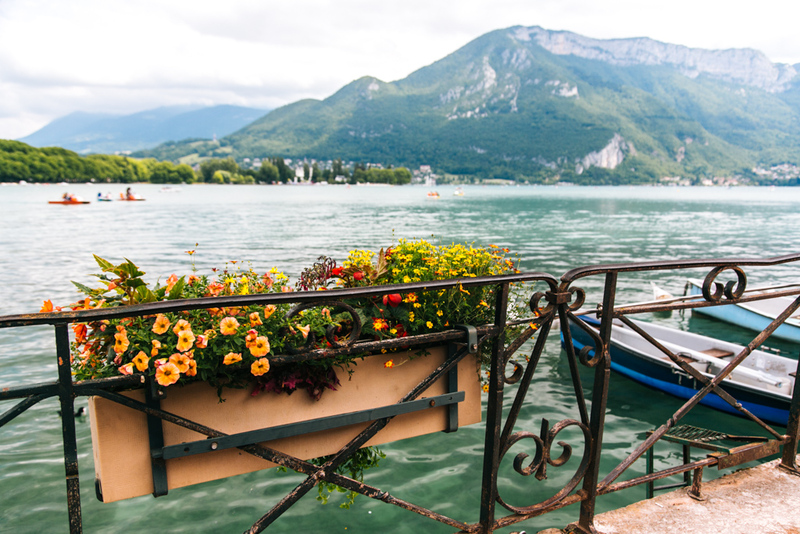 Regardless of weather and distance, I’m so glad I finally made it to Annecy and experienced at least some of what makes it such an incredible place. 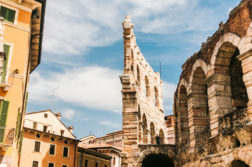 Here’s what I got up to in the Old Town and at the lake. 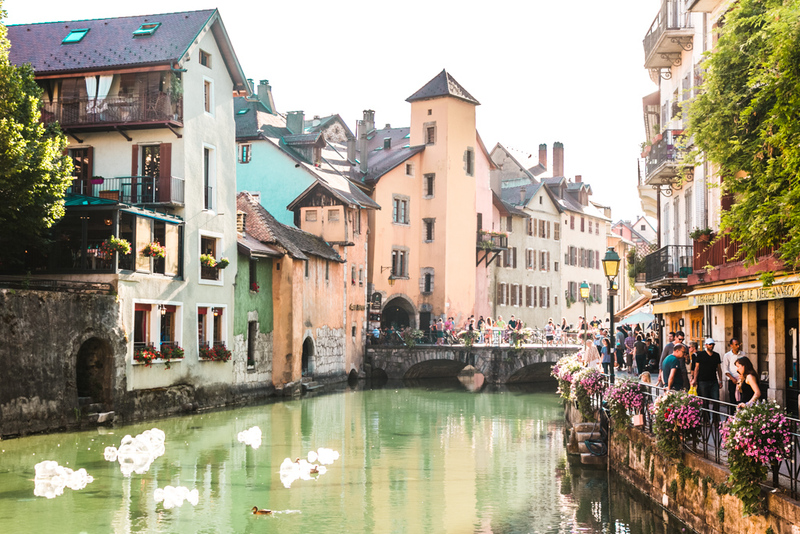 Just to give you an idea of what Annecy’s Old Town is like, it’s basically the quintessential European village complete with castles and canals and colourful buildings made for postcards. 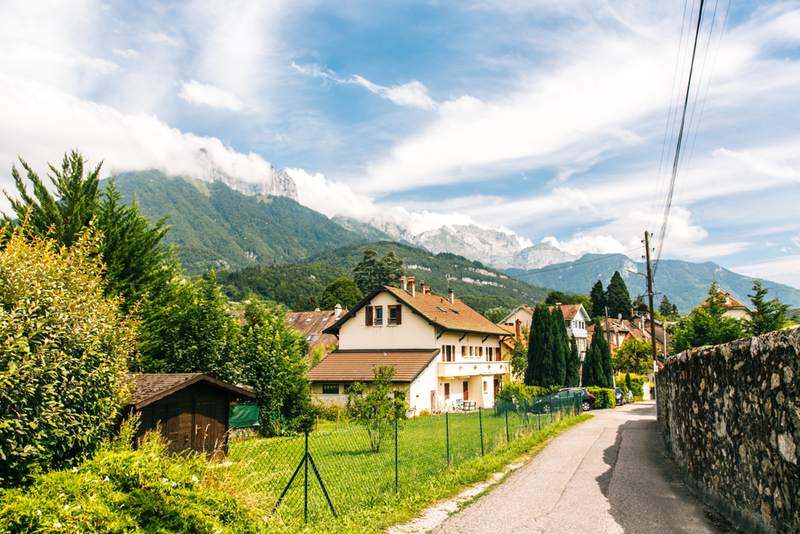 In fact, it’s sometimes referred to as the “Venice of the Alps”. It’s the kind of place where you’ll probably have your camera held up to your face at all times in a feeble attempt to capture the amazingness that abounds. 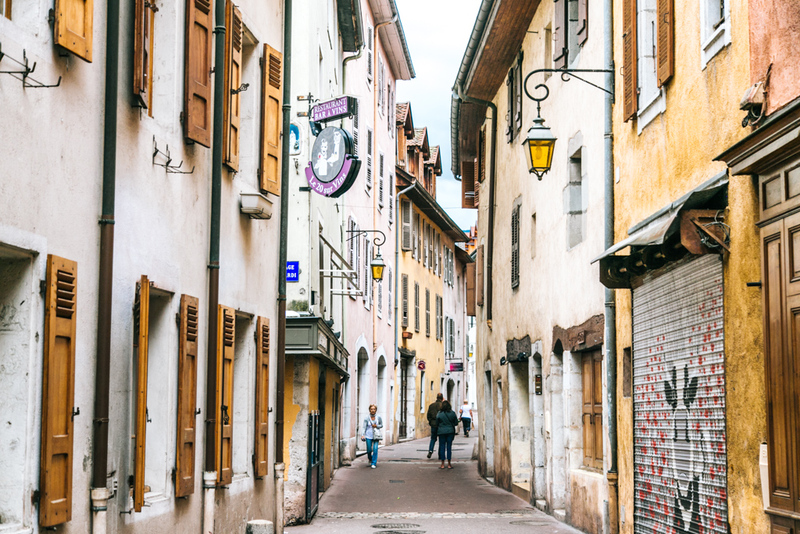 Sadly but understandably, Annecy’s Old Town is absolutely swarming with tourists, but you can still enjoy it with a little bit of peace by exploring early in the morning or venturing off onto the side streets and away from all the shops and restaurants (aka same you would do at any other touristy spot, really). 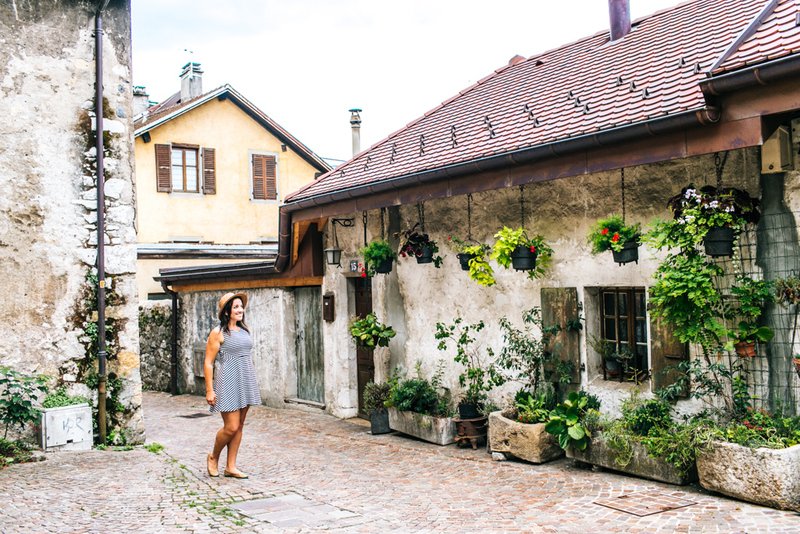 Frolicking is the best thing to do in Annecy (c’mon, like I wouldn’t say that!). I think the Old Town is best done without a map or a plan, allowing you to wander toward whatever catches your eye. 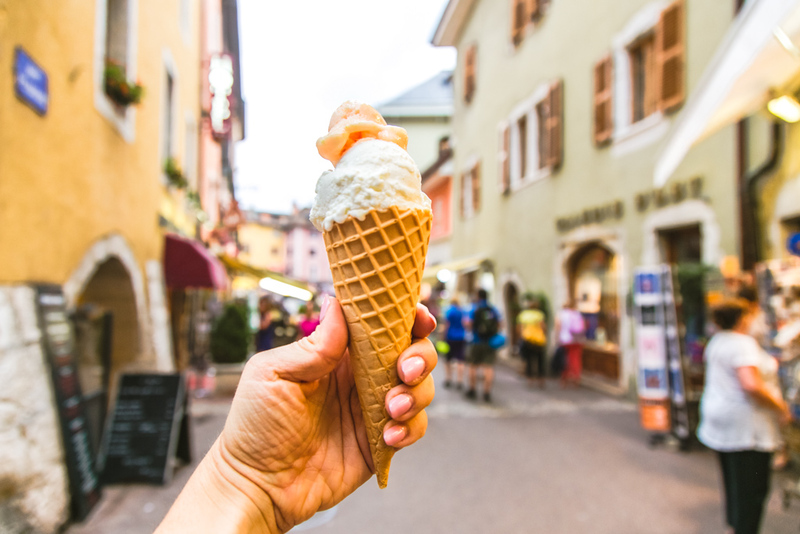 However, you should definitely make a point to stop for gelato at Glacier des Alpes (known as the best gelato in Annecy, and therefore it almost always has a long line). And if you’re a coffee snob, you won’t be disappointed with the flat white at Bunna. I tried so many times to get this shot during my Euro Trip, and the gelato always started to melt before I shot it! Oh, and the markets! 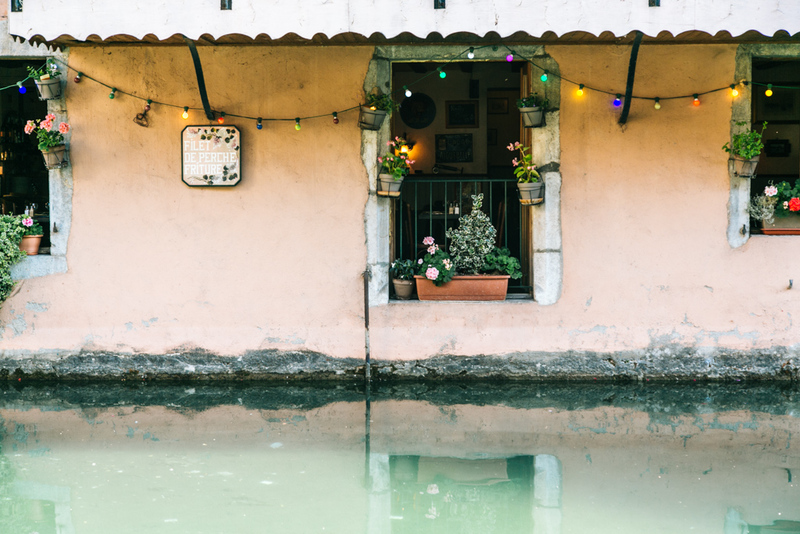 Depending on whether you’re a foodie and/or shopaholic, you’ll either want to sample the fresh produce market that’s held on the canals every Tuesday, Friday, and Sunday… or you’ll want to run far, far away from the crowd it draws. I’m sure you can guess which I did! 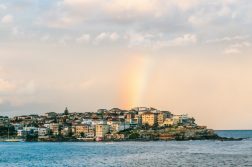 The Old Town is obviously best enjoyed on a dry day (and preferably sunny, so that the buildings are looking their most colorful), but it’s still worth frolicking around even if it’s raining. The lake, on the other hand, you definitely want a clear day for. 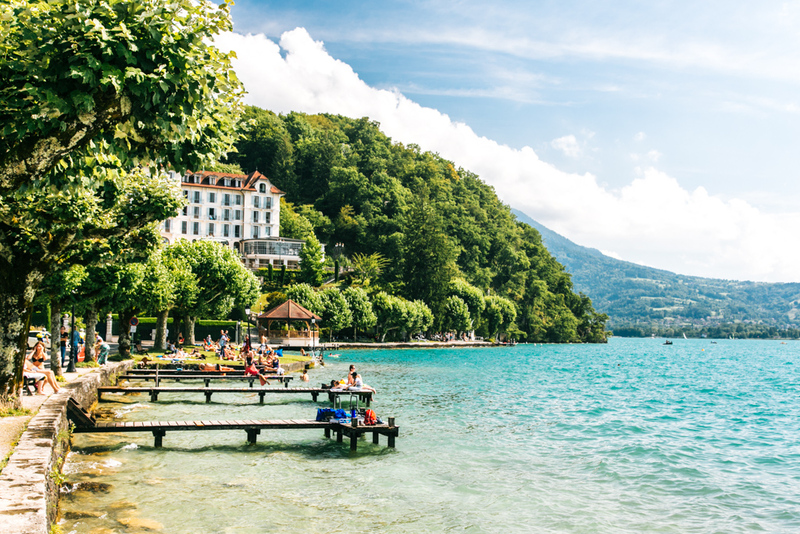 On a warm sunny weekend day, this is where you’ll find most locals: strolling or cycling along the lakefront, sunbathing in parks and on docks, or enjoying the lake by boat. Heading counterclockwise around the lake from the Old Town, there are a few beaches decent enough for sunbathing and swimming; however, I was surprised to find that around Annecy, hanging on the boat docks is more of a thing. I was definitely feeling those summer vibes on a Sunday as I walked and cycled past hoards of locals laying out, blasting music, and splashing around in the water. 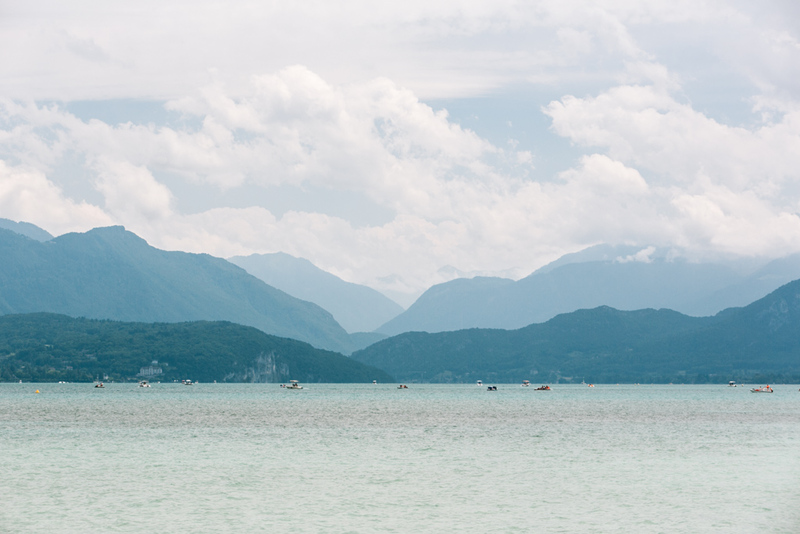 It was absolutely nothing like the gloomy and rainy day prior, which is why I say that a clear day is necessary for an optimal Lake Annecy experience. For my half day of glory, I chose to hire a bike and cycle around the lake. Velonecy is the cheapest option (8€/day if you show your train ticket to or from Annecy), but since they are closed on Sundays I opted to hire from Roul ‘ma poule (15€/half-day) in Annecy le Vieux (note: this is not Annecy’s Old Town, but rather an unofficial suburb of Annecy). 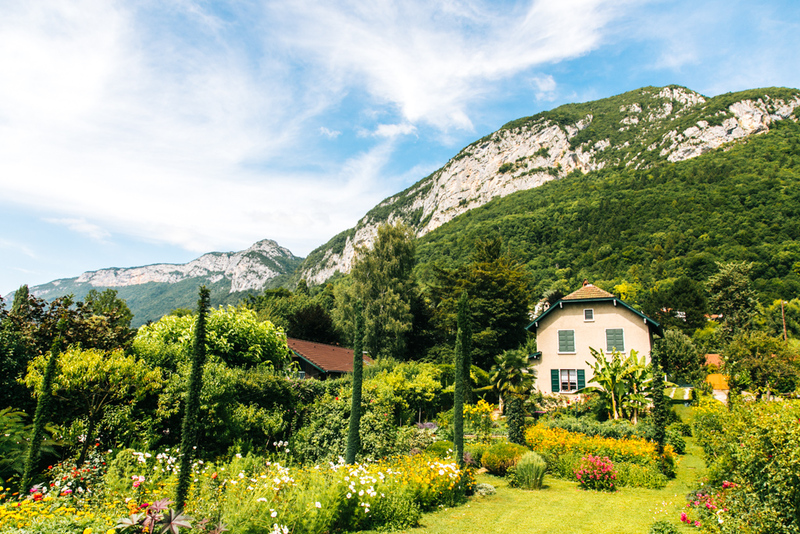 I started cycling clockwise around the lake, but didn’t make it too far around because I kept stopping to ogle the lake views, the houses, the castles, the paragliders… my goodness, there’s so much to see! It took everything in me not to stop and sunbathe on the docks along the way. I’m sure I would have if I’d thought to bring my swimsuit with me, but it’s probably best I didn’t else I wouldn’t have seen much at all. I believe I ended up as far as Menthon-Saint-Bernard before stopping for late lunch and turning around. 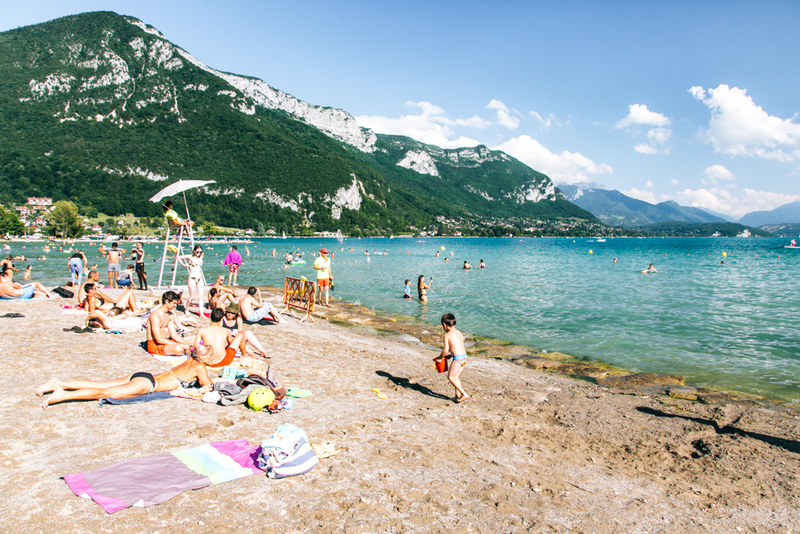 As far as other outdoor adventures go, you could opt to hire a boat or SUP on the lake (there are many vendors along the promenade between Annecy and Annecy le Vieux). Or, as I was planning to do before the weather gods thwarted me, you could go for a hike. 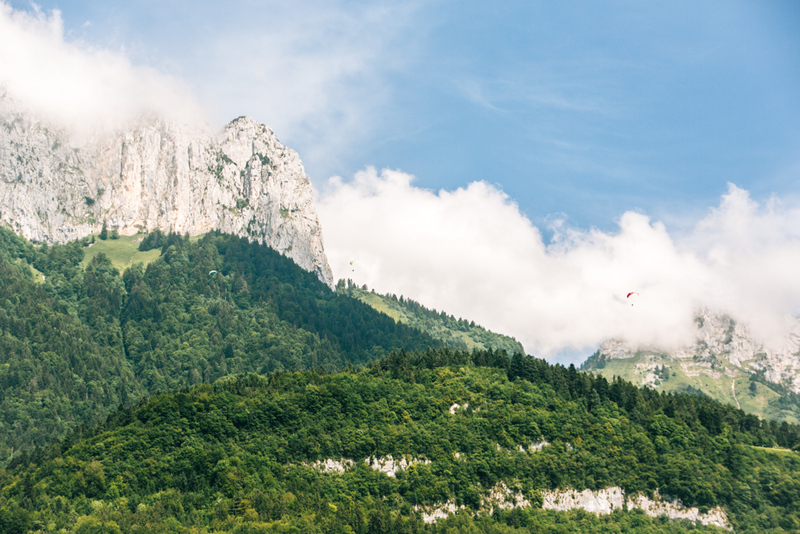 The Alpine Hike from Saint-Jorioz was at the top of my list: it’s a 4 hour hike through the countryside up in the hills that you can reach by taking a bus or shuttle boat from Annecy to Saint-Jorioz. 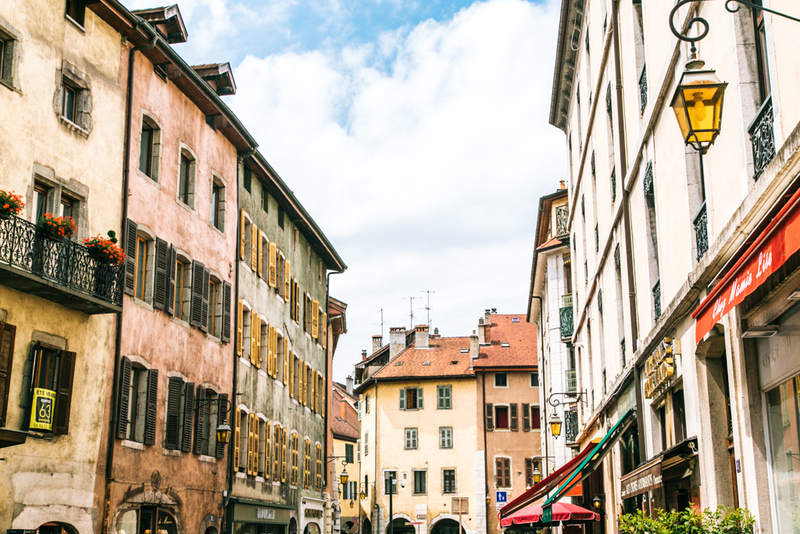 This TripAdvisor post includes some other hikes around Annecy that you can reach without a car. I took a Flixbus from Paris to Annecy which took about 8 hours and cost €25. 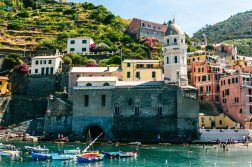 The train between these two cities takes 4-5 hours, requires one transfer, and generally costs at least €50, though you may be able to snag a cheaper fare depending on how far in advance you book and when you’re traveling. 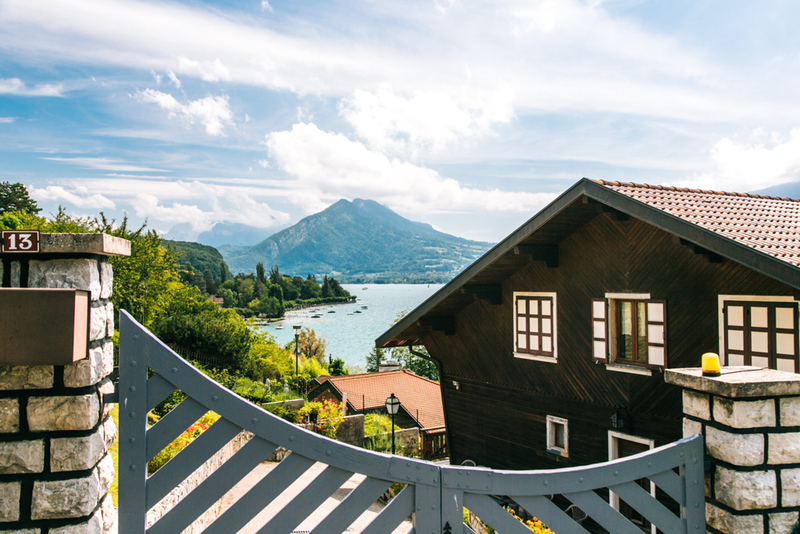 I stayed at this Airbnb while in Annecy. At US$35/night for a single room in a nice house just outside of the Old Town, I believe it’s the best value accommodation in Annecy. Sign up for Airbnb using this link and you’ll save $38 off your first booking! 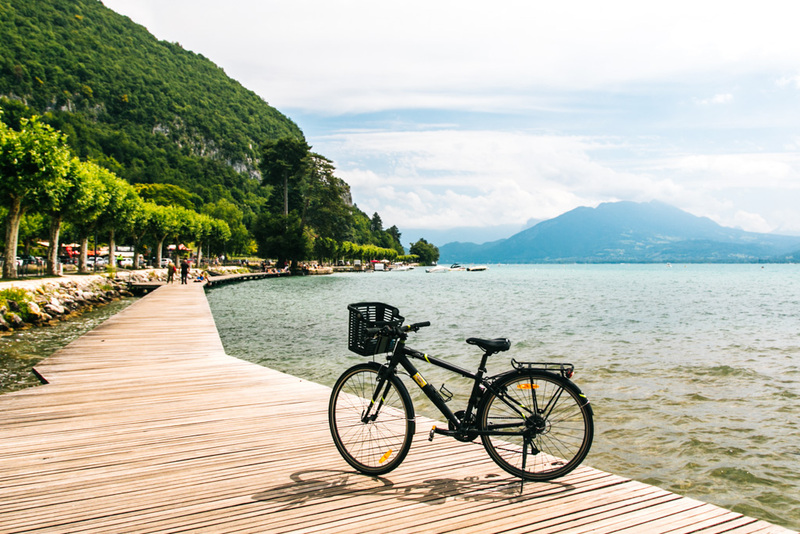 I hired a bicycle from Roul ‘ma poule, which has 2 locations (in Annecy and Annecy le Vieux). They’re open 10am-6pm daily; a half-day rental costs €15, and a full day rental is €20. A cheaper option is hiring a bike at the train station from Velonecy. Their reduced rate is €8/day if you show a SNCF train ticket that either arrives or departs from Annecy station. They are closed on Sundays.